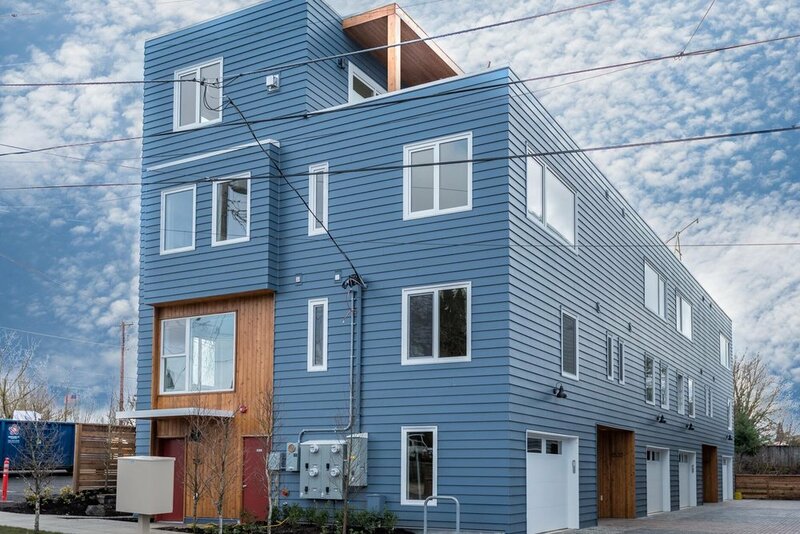 Situated adjacent to a park and an active industrial and commercial corridor, Overlook 8 is a new 8-unit, 4-story townhouse development in the up-and-coming Overlook Neighborhood in North Portland. 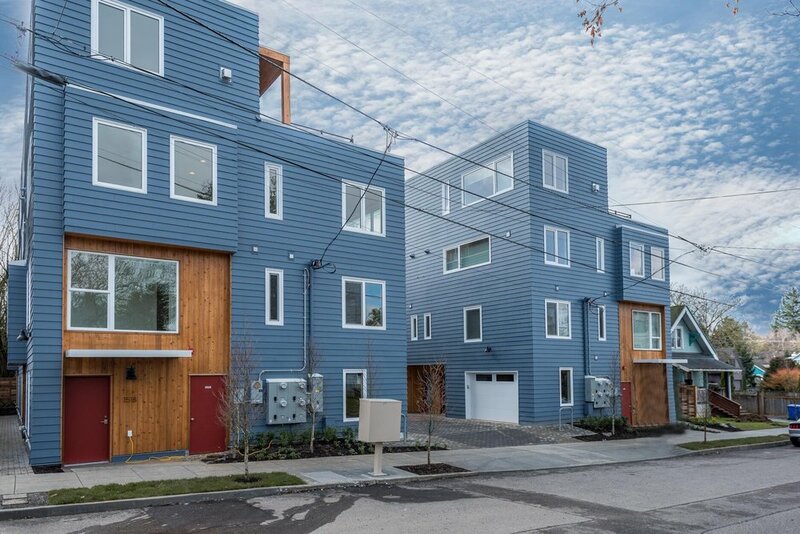 The massing of the twin structures is designed to transition from the highly developed Interstate corridor to the adjacent residential neighborhood. 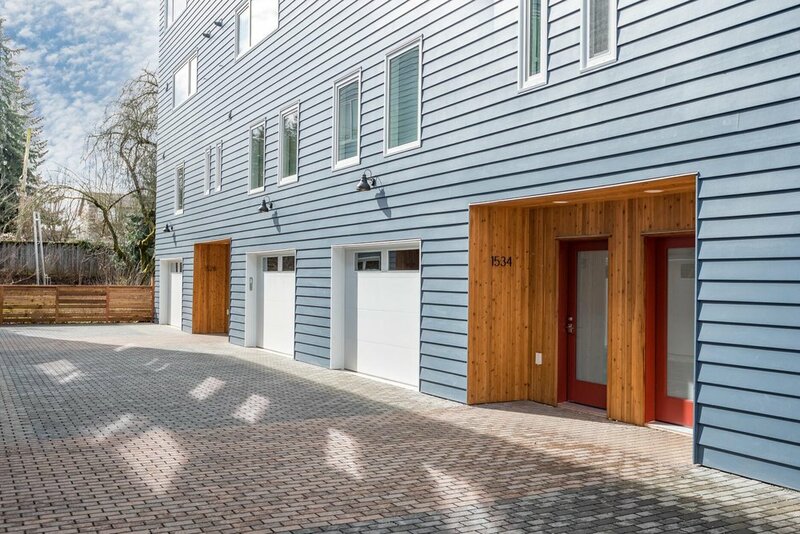 Eco-roofs, permeable pavers, and planter swales feature prominently, reducing the overall impact of the development.